1. 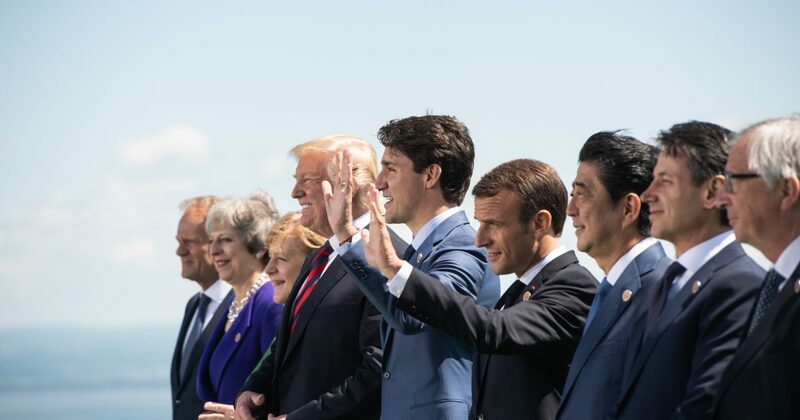 We, the Leaders of the G7, have come together in Charlevoix, Quebec on June 8–9, 2018, guided by our shared values of freedom, democracy, the rule of law and respect for human rights and our commitment to promote a rules-based international order. As advanced economies and leading democracies, we share a fundamental commitment to investing in our citizens and meeting their needs and to responding to global challenges. We collectively affirm our strong determination to achieve a clean environment, clean air, and clean water. We are resolved to work together in creating a healthy, prosperous, sustainable and fair future for all. 8. We are resolved to ensure that all workers have access to the skills and education necessary to adapt and prosper in the new world of work brought by innovation through emerging technologies. We will promote innovation through a culture of lifelong learning among current and future generations of workers. We will expand market-driven training and education, particularly for girls and women in the science, technology, engineering and mathematics (STEM) fields. We recognize the need to remove barriers to women’s leadership and equal opportunity to participate in all aspects of the labor market, including by eliminating violence, discrimination and harassment within and beyond the workplace. We will explore innovative new approaches to apprenticeship and vocational learning, as well as opportunities to engage employers and improve access to workplace training. 10. We recognize that gender equality is fundamental for the fulfillment of human rights and is a social and economic imperative. However, gender inequality persists despite decades of international commitments to eliminate these differences. We will continue to work to remove barriers to women’s participation and decision-making in social, economic and political spheres as well as increase the opportunities for all to participate equally in all aspects of the labor market. Our path forward will promote women’s full economic participation through working to reduce the gender wage gap, supporting women business leaders and entrepreneurs and recognizing the value of unpaid care work. 13. We share a responsibility to build a more peaceful and secure world, recognizing that respect for human rights, the rule of law, and equality of opportunity are necessary for lasting security and to enable economic growth that works for everyone. The global security threats we face are complex and evolving and we commit to working together to counter terrorism. We welcome the outcome of the international conference on the fight against terrorist financing held in Paris April 25-26, 2018. Foreign terrorist fighters must be held accountable for their actions. We are committed to addressing the use of the internet for terrorist purposes, including as a tool for recruitment, training, propaganda and financing, and by working with partners such as the Global Internet Forum for Counter Terrorism. We underscore the importance of taking concrete measures to eradicate trafficking in persons, forced labor, child labor and all forms of slavery, including modern slavery. 17. We urge Russia to cease its destabilizing behavior, to undermine democratic systems and its support of the Syrian regime. We condemn the attack using a military grade nerve agent in Salisbury, United Kingdom. We share and agree with the United Kingdom’s assessment that it is highly likely that the Russian Federation was responsible for the attack, and that there is no plausible alternative explanation. We urge Russia to live up to its international obligations, as well as its responsibilities as a permanent member of the UN Security Council, to uphold international peace and security. Notwithstanding, we will continue to engage with Russia on addressing regional crises and global challenges, where it is in our interests. We reiterate our condemnation of the illegal annexation of Crimea and reaffirm our enduring support for Ukrainian sovereignty, independence and territorial integrity within its internationally recognized borders. We maintain our commitment to assisting Ukraine in implementing its ambitious and necessary reform agenda. We recall that the continuation of sanctions is clearly linked to Russia’s failure to demonstrate complete implementation of its commitments in the Minsk Agreements and respect for Ukraine’s sovereignty and we fully support the efforts within the Normandy Format and of the Organization for Security and Cooperation in Europe for a solution to the conflict in Eastern Ukraine. Should its actions so require, we also stand ready to take further restrictive measures in order to increase costs on Russia. We remain committed to support Russian civil society and to engage and invest in people-to-people contact. 23. A healthy planet and sustainable economic growth are mutually beneficial, and therefore, we are pursuing global efforts towards a sustainable and resilient future that creates jobs for our citizens. We firmly support the broad participation and leadership of young people, girls and women in promoting sustainable development. We collectively affirm our strong determination to achieve a clean environment, clean air, clean water and healthy soil. We commit to ongoing action to strengthen our collective energy security and demonstrate leadership in ensuring that our energy systems continue to drive sustainable economic growth. We recognize that each country may chart its own path to achieving a low-emission future. We look forward to adopting a common set of guidelines at UNFCCC COP 24. 26. The United States believes sustainable economic growth and development depends on universal access to affordable and reliable energy resources. It commits to ongoing action to strengthen the worlds’ collective energy security, including through policies that facilitates open, diverse, transparent, liquid and secure global markets for all energy sources. 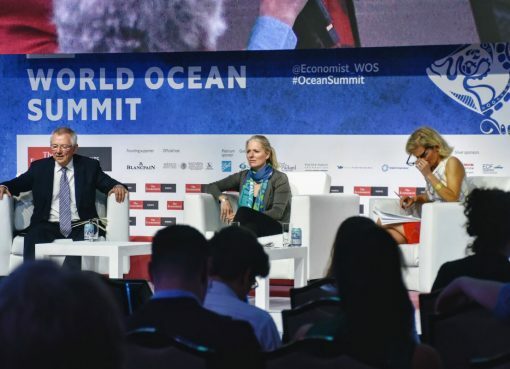 The United States will continue to promote energy security and economic growth in a manner that improves the health of the world’s oceans and environment, while increasing public-private investments in energy infrastructure and technology that advances the ability of countries to produce, transport, and use all available energy sources based on each country’s national circumstances. The United States will endeavor to work closely with other countries to help them access and use fossil fuels more cleanly and efficiently and help deploy renewable and other clean energy sources, given the importance of energy access and security in their Nationally Determined Contributions. 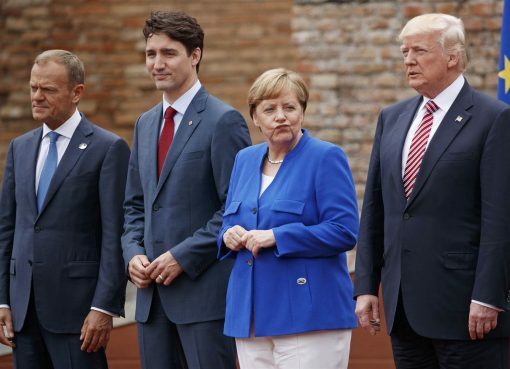 The United States believes in the key role of energy transitions through the development of market-based clean energy technologies and the importance of technology collaboration and innovation to continue advancing economic growth and protect the environment as part of sustainable, resilient, and clean energy systems. The United States reiterates its commitment to advancing sustainable economic growth, and underscores the importance of continued action to reduce air and water pollution.